Old Louisville has come to be called the most haunted neighborhood in America, and with good reason. I attended duPont Manual High School, an old Gothic style building with Masonic roots in Old Louisville, I attended the University of Louisville across the street for a semester and I lived on the outskirts of Old Louisville for a year. There is something inherently sinister and haunting about Old Louisville. I have my own theories about why Old Louisville is as creepy as it is, and my own ghost stories to go along with them. But the Ghost Walk actually put some stories behind the things I’d seen and felt in the area. The night of the Ghost Walk was chilly and the wind was brisk. A mute guide led the way, taking us to visit haunted places in the neighborhood. It was part haunted house, part ghost walk and part vignette. We stopped on the street, in yards and even got to go inside a few of the houses to listen to the tales of the wealthy residents who befell ill fortune. At each haunted spot, actors (usually people from the neighborhood) gave delightful, theatrical monologues that told the history of the haunting. The lighting, costumes and acting were all impressive and the wind added a of natural spookiness at all the right cues. It was magical. I was so impressed with the tour that I wanted to work the event the following night and inquired if they needed a Tarot reader. My proposal was met with enthusiasm and I was given the OK to set up as long as I purchased a space and made a contribution to the Old Louisville Neighborhood Association. The following night I showed up with my table and set up, ready to read in period dress. Immediately clients flooded my table. I had a wonderful time connecting with all the people who sat with me. I talked to Tarot enthusiasts and people who had never had their cards read. The staff of the event was also friendly, fun and welcoming. All in all, it was a great experience. I even got a free T-shirt, concession goodies and admission to their after party. I bought the book that feature many of the ghost stories from the Ghost Walk. 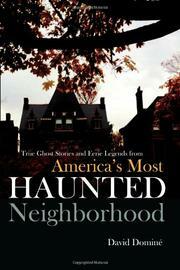 It’s really interesting and I’m really enjoying it because not only does it discuss the actual hauntings, but it gives a history lesson about each of the haunted places. Check out Haunted Old Louisville, and if you need a Halloween Tarot Reading, e-mail me at oracleestella at gmail dot com to book a reading. This entry was posted in mysticism, spirituality, Tarot and tagged ghost walk, ghosts, Old Louisville, spirituality, tarot. Bookmark the permalink.